Our Life and Executive Coaching program encourages readers to be decisive in their decision making. In addition, it's important for leaders to be consistent in how decisions are made because a leader's credibility is on the line with every decision she makes. A leader must master the decision-making process and not be distracted from remaining focused on his or her basic values and beliefs. In any emergency, the arrival of a man or woman who is prompt and quick to decide a course of action, will most assuredly change the face of everything. Leaders who have left their mark have been men and women who are prompt and effective at making great decisions. In contrast, an undecided person is one who is always struggling between two differing opinions; forever debating which of two courses to pursue. People, who are continually unwilling to state their opinion, proclaim by their indecision that they cannot lead themselves well, therefore they are meant to be led by others. The man who is thoughtful, yet quick to decide, does not submit to circumstances or events – he makes the circumstance submit to him. "He who hesitates is sometimes most at risk of losing out." Caesar, the man who said, “I came, I saw, and I conquered,” could not hesitate long. He, like Napoleon, had the power to choose one resolute course, and was quick to dismiss every conflicting plan in an instant. The power to decide instantly the best course to pursue, and willingly tackle every obstacle that gets in the way of that pursuit, is one of the most potent forces for winning success. The one who is forever twisting and turning, backpedaling, weighing and balancing over every tiny possibility in order to extinguish any bit of risk in making a decision – will never accomplish anything. The undecided man creates no confidence in others, he only invites distrust. But the man who can make a firm decision and stand by it to the end, is entrusted with great power to lead others. There is no vocation or occupation which does not present some difficulties. At times these issues can become quite overwhelming. The person who allows himself to waver every time he comes to a hard place in his life will not succeed. Let it be your first decision then, to teach the world that you are not made of wood or straw; that there is iron and steel in you. "Without decision and a firm will, there can be no clear focus; and to succeed a person needs to have constant control over their focus." Let people know that what you say you will do, you will do; that your decision, once it is made, is final - no wavering; that once resolved to take a path, you will not be detained or lured to change course. Some minds are so weak that they are bewildered and dazed whenever a new option is presented to them; they have a fear and dread of having to decide anything. The man who would push to the front due to his firm will and competitive spirit, must be a man of promptness and determined decision; like Ceaser, he is compelled to burn his ships behind him, and make retreat forever impossible. 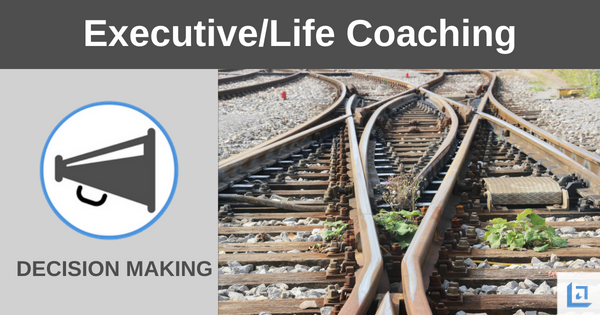 Never forget as part of this executive coaching program that achievement is the work of steadfast decision making. "The heaviest charged words in our language are those that are the briefest, “yes,” and “no.” One stands for the surrender of the will, the other for denial; one stands for gratification, the other for character. A stout “no” means a stout character, the ready “yes” a weak one." Describe an instance in your life when you were faced with a monumental decision that represented a “fork in the road.” Explain the benefits and risks of each option that you had to consider. Explain the process by which you made your final decision. Are you satisfied with this response and do you feel it served you well? 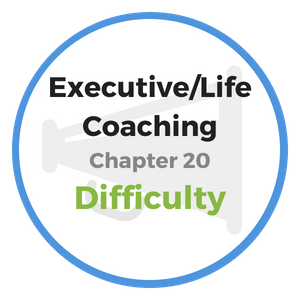 Do you wish to become more resolute and effective at decision making? Given what you learned in this chapter of our executive coaching program, how might you improve how you make important decisions in the future? Explain what you need to do differently in order to gain better results. 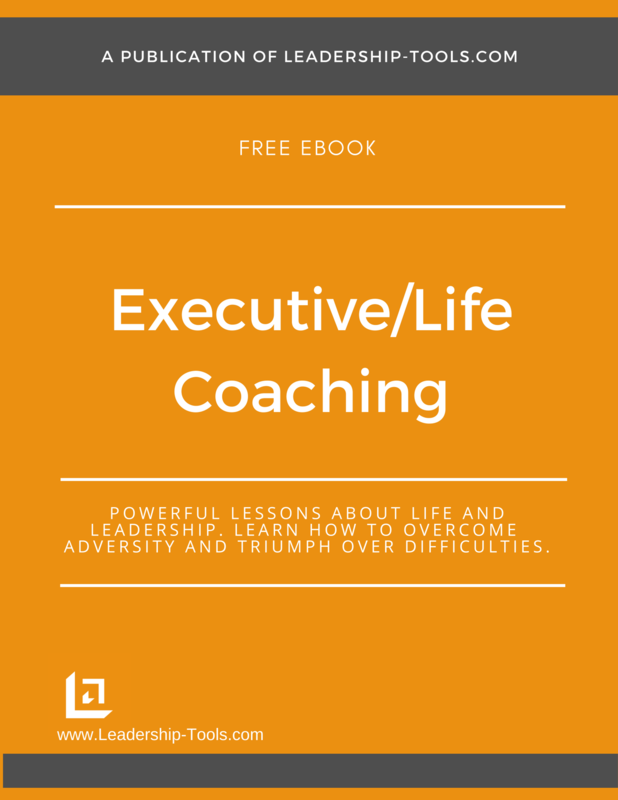 To download our free Life and Executive Coaching Program, providing valuable career and life lessons and exercises, simply subscribe to our free newsletter. You will immediately receive a password that grants access to our entire leadership tools library.